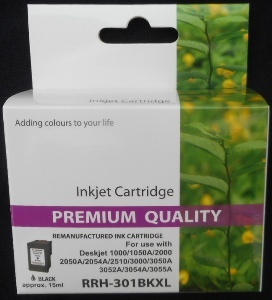 Home / HP / Officejet / HP Officejet 2622 / 2. 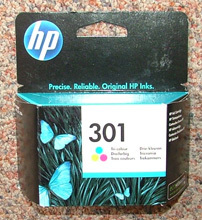 HP301XLCR – Guaranteed Remanufactured HP301 XL High Capacity Tri-Colour Cartridge with 21ml ink-fill – delivered FAST & FREE! FANTASTIC VALUE!!! 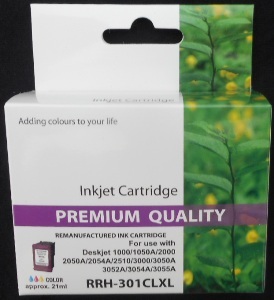 – Massive 21ml ink fill – over TRIPLE the inks contained in the original HP (6ml) model supplying approx A4 page yield of up to 1000 (based on 5% ink coverage). 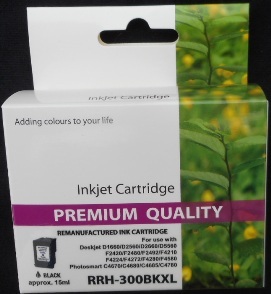 Superb Print Quality and Reliability. 100% Guaranteed at a great price! 1. 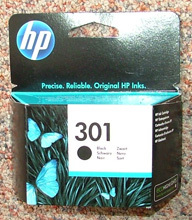 HP301XLBkR – Guaranteed Remanufactured HP301 XL High Capacity Black Cartridge with 15ml ink-fill – delivered FAST & FREE! 1. 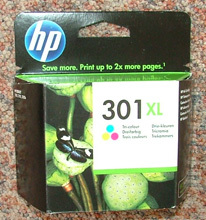 HP300XLBkR – Guaranteed Remanufactured HP300 XL High Capacity Black Cartridge with 15ml ink-fill – delivered FAST & FREE!